I am under no illusions that I am the first person to lament that loss, but being abroad really starts to reaffirm it for me. 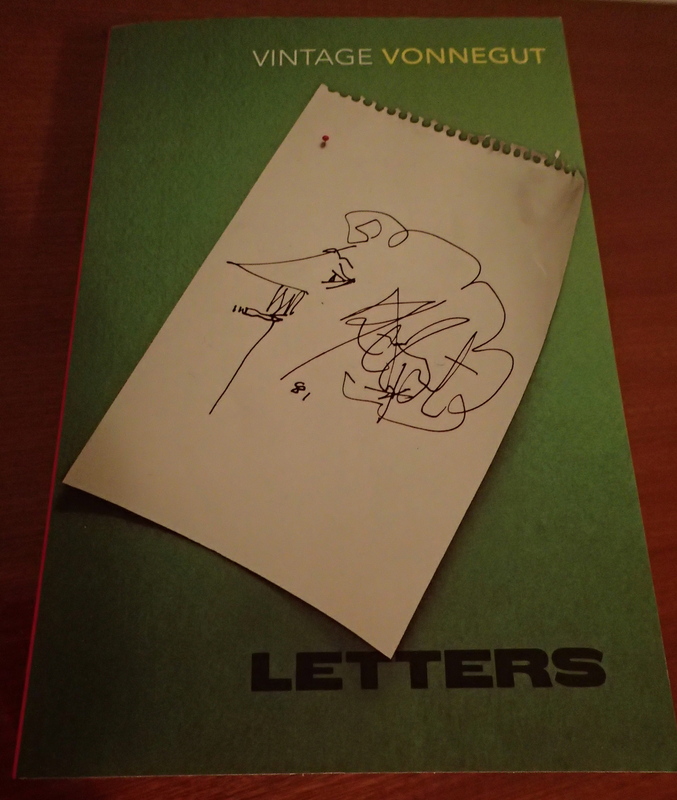 I picked up a book in Perth of Vonnegut’s Letters, and I find myself with a new respect for the lost art. A week before I left for this trip, I was at my grandmother’s house with my parents, aunts, and uncle. Meemaw had died in November, and we were preparing the house for the estate sale. That experience by itself is gutwrenching; to know that a place where I spent some of the warmest moments of my childhood is about to become just another place. A familiar threshold that will never again be crossed. A place in the world that will never again be home. Past that melancholy feeling, I was given the contents of my grandmother’s correspondence, maybe 20-25 letters. As I read them I was immediately transported to another time, into the lives of people who became the people I loved. The letters weren’t much. Most were just weekly dispatches from my grandmother to her snowbird father in Florida. She didn’t mean for them to be read by anyone other than their initial recipient and most was just a series of recaps from the week that happened. In those letters I was told, down to the restaurant they failed to eat in, the story of my father’s 30th birthday dinner along with a full rundown of his date, the woman who would become my mother. I read about my grandmother’s struggles in dating after her divorce from my grandfather after nearly 30 years. There were bits about church dinners and my youngest aunt’s comings and goings. Sprinkled in were veiled comments about the activities of her children, down to a hesitant endorsement of my father’s career moves. I found myself as a baby sick with diarrhea, a haggard new mother making excuses for my father’s working too much, and I even found the letter, 8 months later, saying that he’d quit his job and his small family would be heading home. Even though I knew the outcomes to all of these stories it confirmed that family stories are always hardened in the retelling. These historical documents brought the story to life, absent the judgements of later historians. The stories were three dimensional for the first time, instead of being a terse recap next to the box score. Today we don’t send letters. We send short, terse emails, and we send that lowest form of communication, the text message. Our conversations have been hewn down to 140 characters or less, and we don’t spend the time required to put our reflections in longform on paper. Even the photographs we take have been cheapened. The most photographed generation by several magnitudes, but we so rarely reclaim our memories from the digital ether, happy to look at a phone or a screen instead of physically holding it in our hands. Here’s hoping that more people start writing letters. Posterity might someday thank you. Having worked exclusively in historical correspondence since entering Grad School, I can attest to the cultural wealth that accompanies personal correspondence, in the case of my project, the great Frederick Douglass. There is a personality that accompanies letters that is often markedly different from the outward persona. The only issue comes in reproducing those letters for critical inquiry, given as you said, that they were not intended for public consumption and thus often do not follow grammatical convention. You want a real undertaking, read the 200 page travel diary that I’ve been blinding myself reading/transcribing/proofing/copy-editing. Basically just one long run on sentence, but definitely the rewards of seeing how this man interacted with others post Civil War and the death of his first wife are great. Also my boss and I think that the Lizzie that he meets from Fall River is none other than Lizzie Borden. Thankfully she was not wielding an axe . . .